More and more brands are jumping into the bandwagon of mobile app development, as we see an increasingly higher number of Android users. In fact, the number of Android users have surpassed 1.4 billion dollars in the year 2015. The revenue generated by the Android operating system is 31 billion dollars of revenue for Google. When we see that the competition is resorting to android app development, then there is no other way other than launching a mobile app for your business, although there is already an existing website for generating sales and brand engagement. We need to analyze the factors on which the app development cost is dependent on. 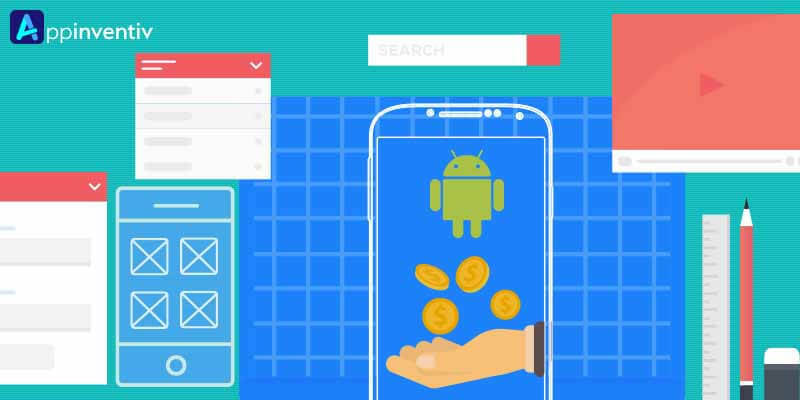 There are various factors which decide the budget for the android app development projects, fetching the right amount of return on investment. Why Do Your Business Need a Mobile App? More the customers are viewing the apps, more is the likelihood of buying the app. The mobile apps adds value to the customers. In fact, the apps are successful in providing instant support, feedback’s and offering the rewards through the loyalty programs. More are the downloads, more are the customers. It offers information to its customers with the apps, all at their fingertips, inclusive of special sales as well as promotions. Direct interaction is established with the push notifications, thereby reminding the customers about your products and services. The average time spent by the customers, spending behind the mobile apps is increasing day by day. The users generally scan through their devices, while searching for the relevant apps of their choice and the information gets registered in their unconscious minds. The messaging feature in the app impacts on the way of communication with the customers. There is a constraint on the development of an Android app. It usually ranges from $ 2500 to $ 10,000. The budget for development of customized Android app development ranges from $ 50000 to $ 300,000. A long time consistent support and maintenance for your Android apps need more investment from your side. The choice of the platform for development of mobile apps decides the development time and cost of the Android apps. A lot depends on the type of Android apps developed. The native apps are more expensive to develop, but are premium products, with better performance and custom-defined features. The integration points help to save the money to a considerable extent, for the Android app development process. However, they are more costly than the others. The user experience is enhanced with complex UI elements for the Android apps. The visual objects such as real-time 3D Graphics, animations, complex visual transitions and animations of multiple objects incur more cost. This will also affect the decision of the Android app development company as to whether they will go for a hybrid app development framework, as they do not have the advantage of the hardware-accelerated user interfaces. The app development cost for the Android platform will be higher, with a 40 % more code and a 30 % increase in development time. The Android apps are written with Java, with more instructional words and thus the number of errors increase the time for development. Moreover, the Android emulators are slower than the corresponding iOS emulators, adding more development hours. Additional effort and money is needed for testing compatibility across the wide range of Android devices. The cost incurred further increases with the testing of devices with varying screen sizes and pixel densities. The Android app development cost is also dependent on the chosen vendor for Android app development, based on the business requirements. The development cost is further reduced by outsourcing the project. To know the exact cost breakdown structure of mobile application development, read our detailed guide on – How much does it cost to Develop and Maintain Mobile App? Appinventiv, is one the best android app development company that has dedicated itself towards app development in the mobility space. They have a team of highly skilled workforce that has successfully build a wide range of mobile apps, across diverse platforms such as Android, iOS, Wearables and the Internet of Things.